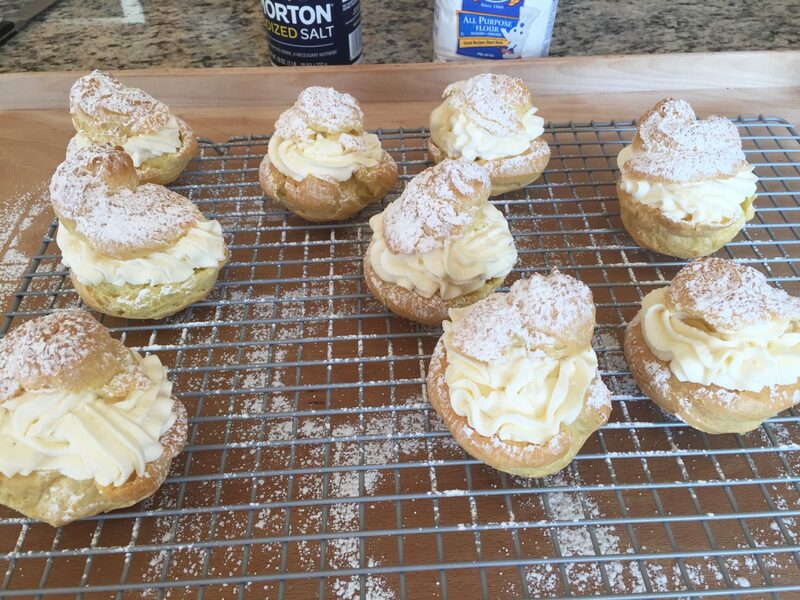 This Classic German Cream Puffs Recipe is easy to prepare. The Cream Puffs are made with a choux pastry and then filled with whipped cream. These puffs taste delicious. Cream Puffs are called Windbeutel in Germany. Bring water, butter, and salt to a boil in a saucepan. Turn the heat down to medium and add flour mixed with Gustin or corn starch. Stir with a wooden spoon until the ingredients form a dough ball. Place the dough in a mixing bowl and let it cool down. 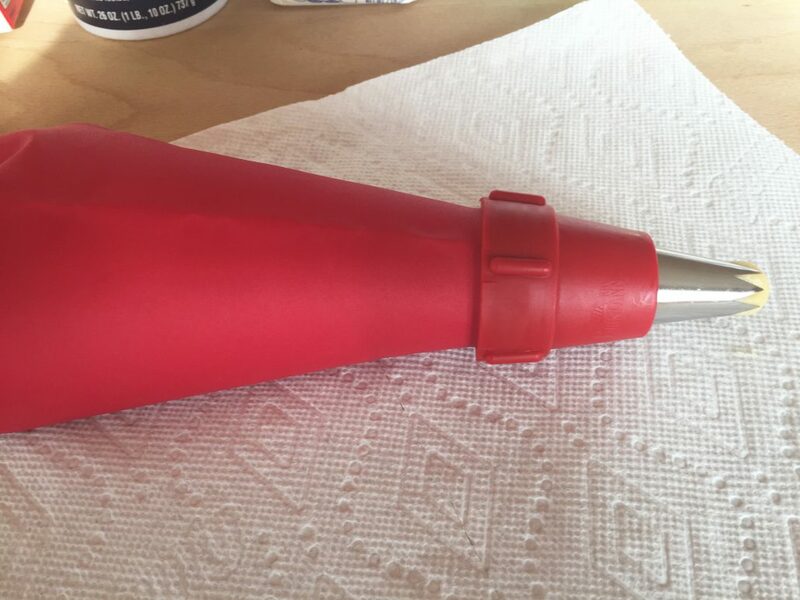 Add the eggs to the dough one at a time and mix using a handheld electric mixer. When the dough is smooth add the baking powder and mix well. Let the dough rest for about 10 minutes. 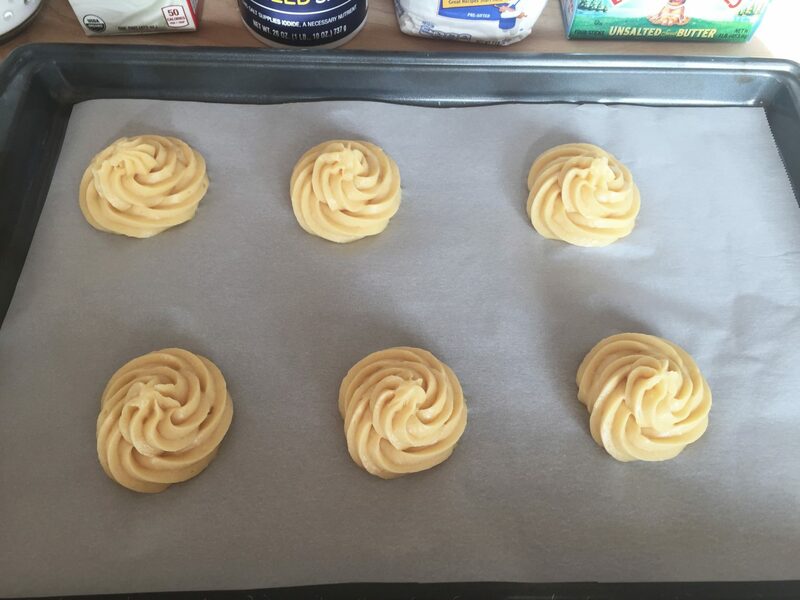 Fill the dough in a decorating bag with a large star tip and form the cream puffs on a baking sheet lined with baking paper. You can use a spoon to form the pastry, if you prefer. Make sure to leave enough space on the baking sheet between the puffs. Place a bowl of water on the bottom of the oven. Preaheat the oven to 200°C-210°C — 392°F-410°F. Place the baking sheet on the middle rack and bake the puffs for about 25-30 minutes. Do not open the oven door during baking time. Take the pastry out of the oven and place the puffs on a cooling rack. Cut the top off immediately and so the puffs cool down. Add the vanilla sugar and Whip it to the cream and beat until stiff. Fill the whipped cream in a decoration bag with a tip. Fill the pastry with the cream and cover with the tops previously cut off.. Dust the Cream Puffs/Windbeutel with powdered sugar. The Windbeutel are now ready to be served. You can add pieces of fruit in the pastry. 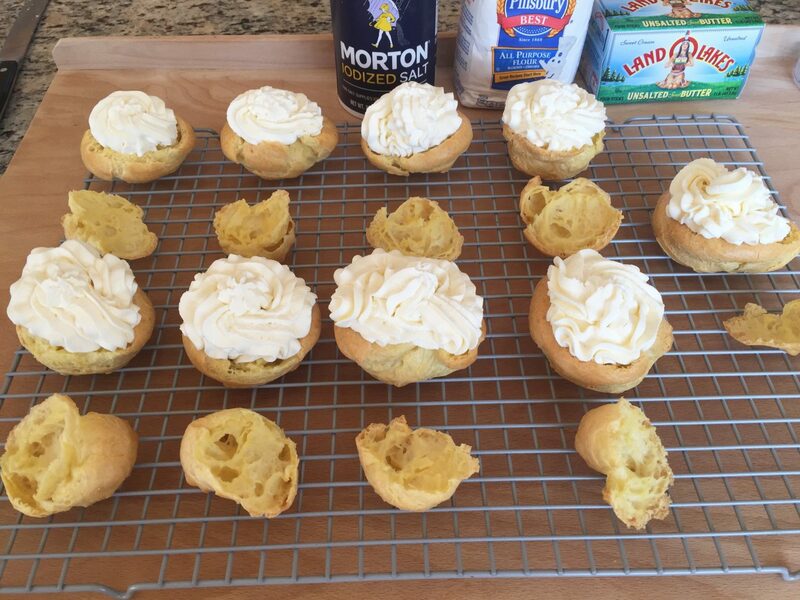 This recipe makes about 10-12 Cream Puffs. To try Oma’s German Schokokuss Sweets click here.